Home>New Songs>Juicy J Songs> Juicy J & YKOM Connect On New Song & Video "Built"
You may not be too familiar with the name YKOM just quite yet, but there’s a good chance you already heard some of his work. The rising Memphis rapper was featured on Juicy J’s SHUTDAFUKUP mixtape on the song “Broke Niggaz,” as well as Juicy’s Highly Intoxicated project with “Up There,” but now he’s ready to make his official debut on the site. Calling on Juicy J once again, the two link up for a new single called “Built,” which is released in visual form via WSHH. Following up yesterday's video for “You Can Cry,” the song will presumably see life on YKOM’s forthcoming 901 Drip project, which is presented by Juicy J and is expected to drop later today. Check out the CatchRecMedia-directed clip and let us know what you think. 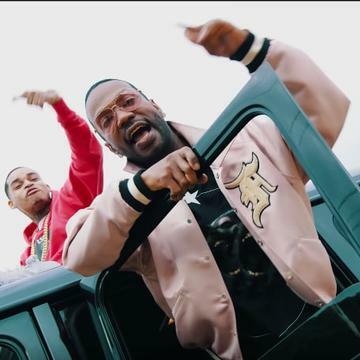 SONGS Juicy J & YKOM Connect On New Song & Video "Built"